With the help of an HDD Rig from Herrenknecht, in Anglesea in Victoria (Australia), a 700-meter-long pipeline was installed under the sea using the sea outfall method. The existing pipeline had previously been destroyed by the collapse of a cliff. In August 2015, a large cliff segment collapsed in the Australian state of Victoria, resulting in an acute need for action. Falling rocks massively impaired the sea outfall pipe of the local water treatment plant on the Bass Strait coast. The affected sewage pipe had to be replaced as quickly as possible to ensure stable wastewater disposal. The targeted timescale for the operation was tight: completion of the new infrastructure in 3 months, i.e. by Christmas. The protection of nearby Point Addis Marine National Park played an additional role in the installation of the new pipeline using the sea outfall method. To meet the strict environmental protection requirements, the Australian drilling contractor counted on technology from Germany that had also proven itself in this regard. Dunstans ordered a Herrenknecht HK250C HDD Rig, a technology that had previously demonstrated its effectiveness in sensitive environments on numerous occasions. For the installation of the polyethylene (HDPE) pipeline with an outer diameter of 355 mm (14 inches) the crew first drilled a pilot hole from the treatment plant to the coast and under the sea. Then, the borehole was reamed from the land side. After completion of the borehole Dunstans overcame another hurdle presented by the project: transporting the 700 m long product pipe by sea past Port Philip Bay, one of the busiest ports in Australia. Regular shipping was not obstructed by the exceptionally long cargo. To complete the installation Dunstans pulled the pipeline floating on the sea through the predrilled alignment all the way back to the treatment plant. Thanks to the 250 tonne pulling force of the HDD Rig this task was carried out quickly and cleanly. 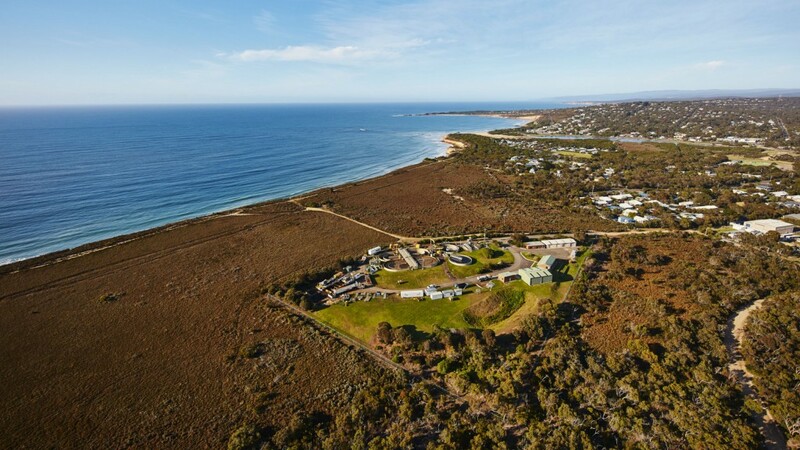 With the connection of the pipeline to the treatment plant completed before Christmas, Anglesea was ready for the tourism high season in summer. A crawler-based Herrenknecht HK250C HDD Rig was used to successfully complete the project under great time pressure. The newly installed pipeline with a diameter of 355 mm and a length of 700 m was put into service only three months after the project began.